Drive down to Kolad for a break from the hustle and bustle of the big city. 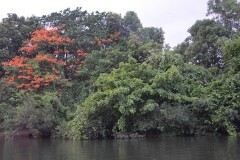 Here, surrounded by greenery and cool breeze, you'll pit your strength against the mighty Kundalika River. Your rafting adventure takes you through gurgling rapids, rated grade II and III, for a 2-hr stretch over the river's twists and turns, making this a day to remember. After your rafting adventure, you'll have a simple but delicious lunch at a scenic campsite. This trip is ideal for travellers looking for a fun, adventurous and quick getaway from Mumbai and Pune. This package includes lunch after rafting, but does not include any overnight stay or additional meals. Report to the campsite by 8:00 hrs, where you can keep your bags and freshen up. Soon, you'll gear up and head out to the rafting start point. 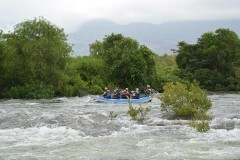 You'll board the rafts and set off on the Kundalika on your whitewater rafting trip. 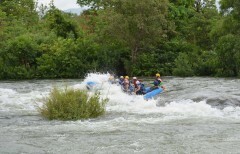 Over the 2-hr stretch, you'll paddle the raft forward, crashing with waves and tides, hurtling over the river's rapids. During the final stretch, you can jump into the river and spend some time splashing around. 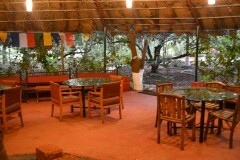 Return to the campsite, where you can change into dry clothes and have lunch at the common dining area. You'll check-out after lunch. Your trip ends here. A buffet lunch will be served at the campsite, after your rafting adventure. The meal will include one non-vegetarian dish. You'll check-out from the campsite after lunch.